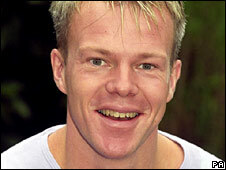 TV presenter Mark Speight was found hanged on the roof of a building next to Paddington railway station, British Transport Police have said. Station staff found the 42-year-old's body hanging on MacMillan House in central London on Sunday. The body, which has yet to be formally identified, was out of public view. Mr Speight, who was said to have been devastated by the death of his fiancee Natasha Collins in January, had been missing for a week. A post-mortem examination is due to be held and an inquest into Mr Speight's death is expected to be opened on Wednesday, police said. He was last seen on CCTV boarding a southbound Bakerloo line Underground train from Queens Park station. Later that day, he was reported missing when he failed to meet Ms Collins' mother for coffee in Covent Garden. Mr Speight's 31-year-old fiancee died on 3 January after taking cocaine, sleeping tablets and alcohol. She was found with 60% burns from hot water in the bath at the couple's flat in St John's Wood, north-west London. An inquest recorded a verdict of death by misadventure. Following her death, Mr Speight, who was said to be in a "fragile state of mind", had moved in with Ms Collins' mother, Carmen. Mrs Collins, 57, said: "Mark was a deeply special person, his loving nature and kind heart made such a difference to our lives. "Since Natasha died, we as a family have grown closer to Mark. We can see why Natasha loved him so much as we grew to love him even more. "His vivacious personality touched the lives of many." Mr Speight's father, Oliver, said: "Mark was a wonderful son and brother to his family and he will be very sadly missed." Mr Speight, who fronted CBBC show SMart, quit in February after Ms Collins' death. Kirsten O'Brien, his co-presenter, said Mr Speight was "without doubt the funniest man I've ever known". "Mark had a childlike enthusiasm for life which is what made him such a hit with young viewers. "As a friend, Mark was gifted with making people laugh, he lifted your spirits. Mark could find light in the darkest situations for others. I'm only sorry he couldn't find it for himself." Stu Goldsmith, 42, who had known the TV host since they met at school in Wolverhampton, said the "sensitive" presenter blamed himself for Ms Collins' death. "I knew he and Natasha absolutely idolised each other, they were the perfect couple. "Even though he had been released by the police, Mark was still walking around London blaming himself for the death of Natasha."